Published August 2, 2015 at 4896 × 3672 in Buddhism in Tamil Nadu. 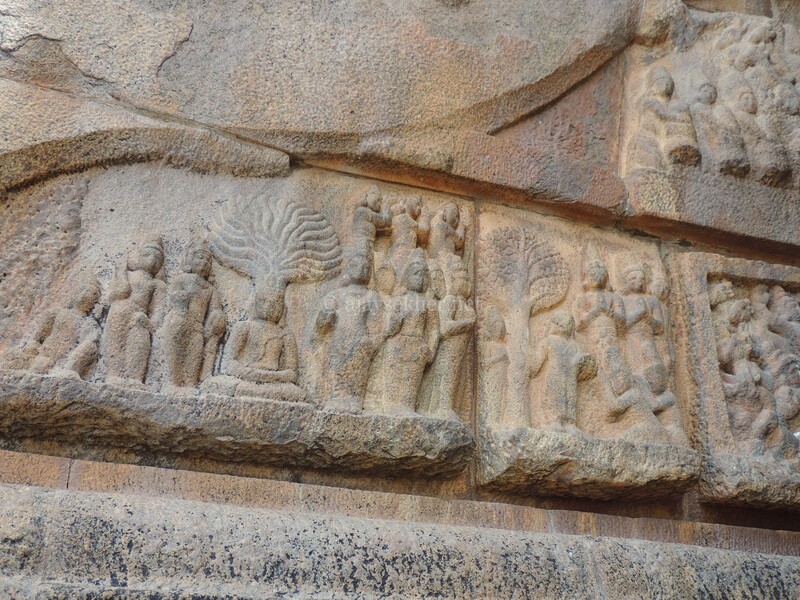 Panel reliefs depicting the Buddha under the Bodhi tree in Big temple, Tanjavur also called Brihadiswara temple built in early 11th century AD by Rajaraja Chola. This one on the eastern side of the southern exit from sanctum.